If you still have any end of the season plums to make something with, I have just the thing for you! 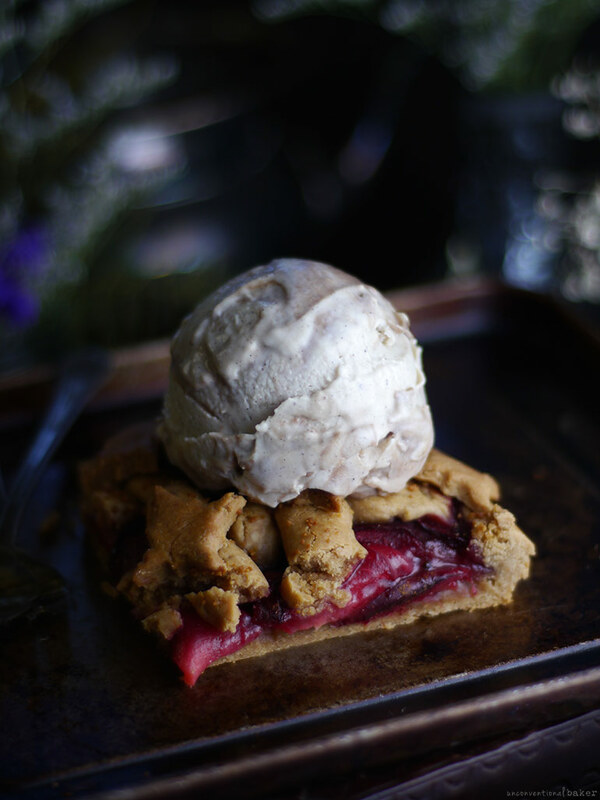 Ok, maybe I have more than one thing… like this balsamic plum crumble, clafoutis, or ice cream … but let’s stay focused on plum crostata for a moment ;). This was my end-of-plum-season little treat and I was in 7th heaven enjoying it with some of this vanilla caramel ice cream. 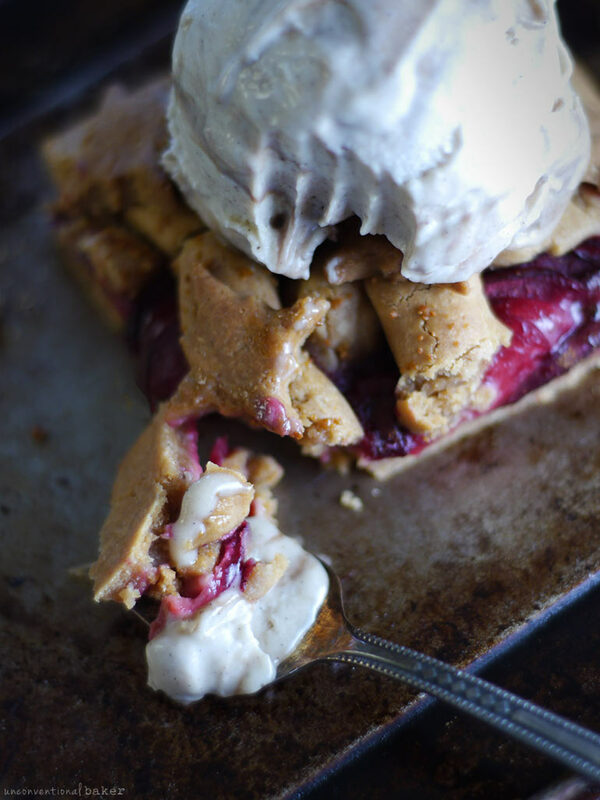 Now to the important question… is this really a crostata? Or more of a galette? Or maybe a fruit pizza? A fruit pie? 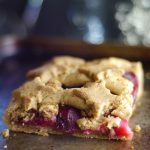 A fruit crumb cookie bar? The answer is entirely up to you. All I know is it’s delicious, simple, and worth making. I started off with a galette in mind, but by the time I was done somehow managed to unconsciously add a lattice top (and cookie cutouts for good measure — no dough wasting!). That’s when things took an unexpected turn towards very crostata-y. But hey, not complaining about the extra cookie dough pie crust. Especially when it complements juicy, sweet baked fruit and cinnamon. If you’re grain and nut-free, I know I’ve been using this cashew and rice flour-based crust combo a fair bit lately, but I just can’t help it. It’s so simple and so good. But I get it if it’s not your thing too — check out the crust from this galette instead if you want a grain / nut-free option. It’s an oldie recipe, but would also work great. So for this crust — feel free to decorate your crostata as you like. I made one version that was just cookie cutouts layered on top. Another with no top at all (just a border), and another one with both lattice and cookie cutouts (pictured). It’s not a super sturdy dough, if you were planning on doing fancy braids or the like, because it has that cookie crumble to it, but otherwise it gets the job done. Plus cookie crumble. My kind of heaven. 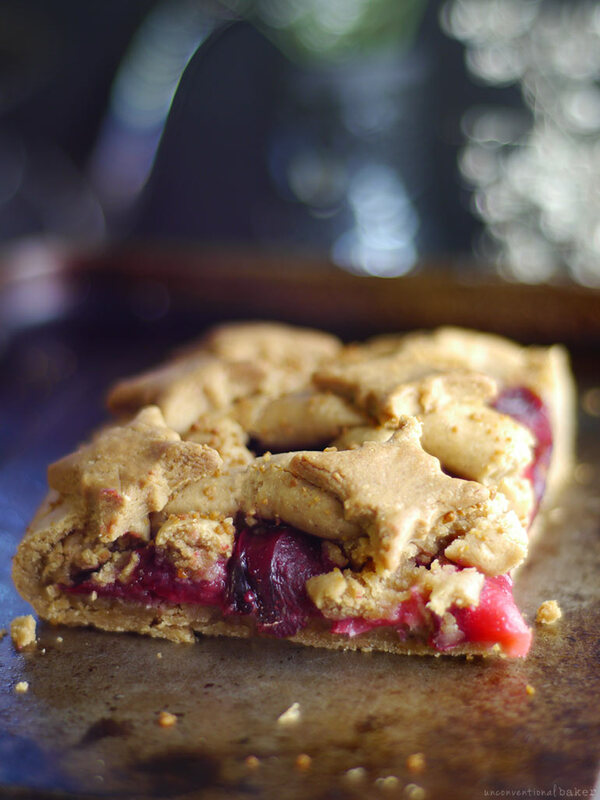 Juicy baked plums inside a gluten-free cookie type tart crust. Top with vegan vanilla ice cream for the ultimate treat. 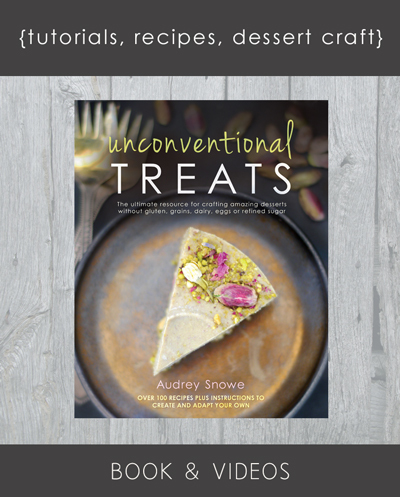 Naturally refined sugar-free and dairy-free. Process all crust ingredients in a food processor until the mixture begins to form a ball (note if the mixture is too runny, add a bit more flour, if too dry, add a bit more maple syrup). Form the mixture into a ball with your hands and knead briefly, then flatten into a disk with your hands. Roll the disk out with a rolling pin between two sheets of parchment into a rough rectangle about a ¼” thick. Cut off the uneven edges to form a proper rectangle (save the scraps for the lattice). Lay out the sliced plums on the dough surface in a design pattern of your choice (I just did neat rows of overlapping plums slices), making sure to leave a boarder about an inch uncovered all around. Mix the maple syrup, balsamic vinegar, and cinnamon in a small bowl together (I used a pastry brush). Brush the tops of the plums with the mixture. If you have a bit of mixture leftover, set it aside. 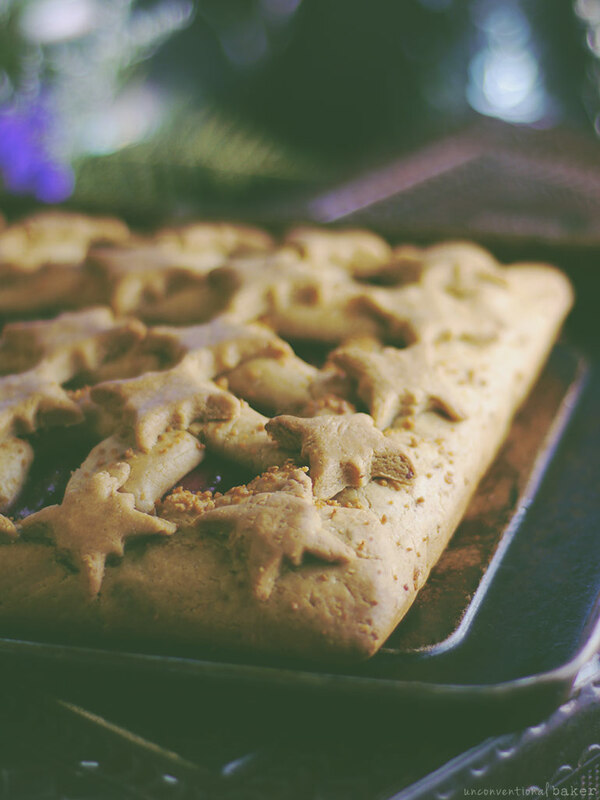 Carefully fold over the edges of the dough over the plums (I usually lift the parchment paper underneath each edge and pull it upwards then fold over and press the dough down gently, then peel the parchment paper back down, to create an even edge). Roll out the remaining dough scraps from the crust cutaways. 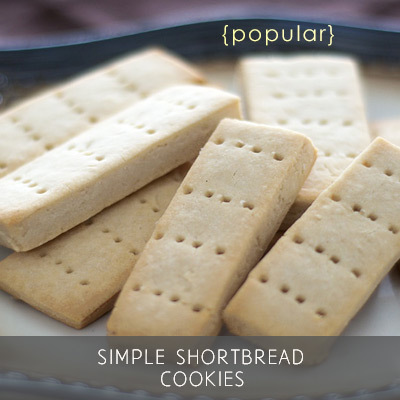 You can roll it out and cut into strips, or simple roll it flat and use a mini cookie cutter to cut out shapes. Decorate the top of the crostata to your liking with it (I created some very basic lines for a lattice, and then used the rest to create thin stars to place on each lattice cross). Note: this dough is not super pliable, so aim for a simple design. Brush the top of the crostata with any remaining maple cinnamon mixture. 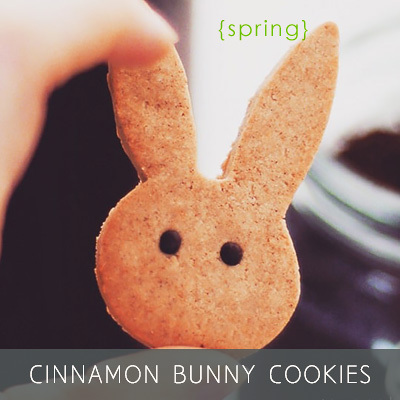 Optional: sprinkle with a bit of sucanat or coconut sugar. Carefully transfer the crostata (along with the parchment paper it is on) onto a small baking sheet. Bake in a pre-heated oven for for approx 45 mins. 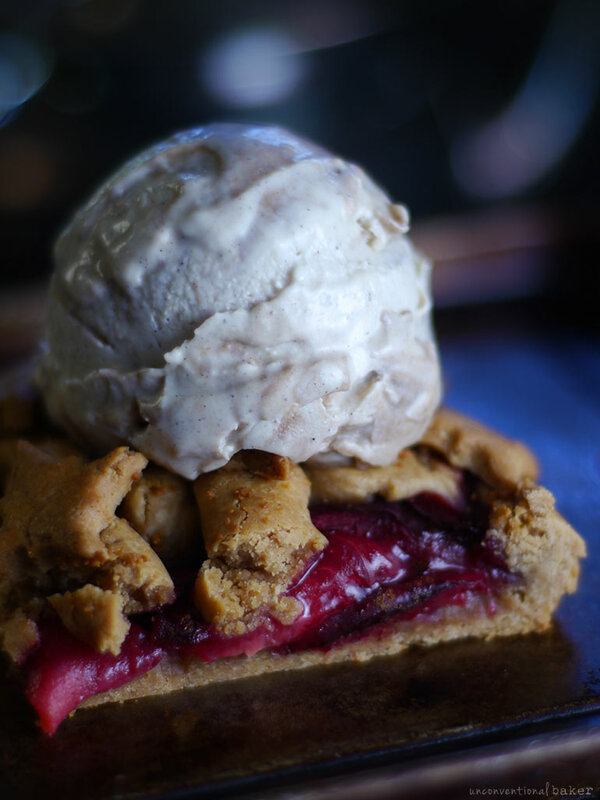 Cool off on a cooling rack and enjoy with a side of vanilla ice cream. 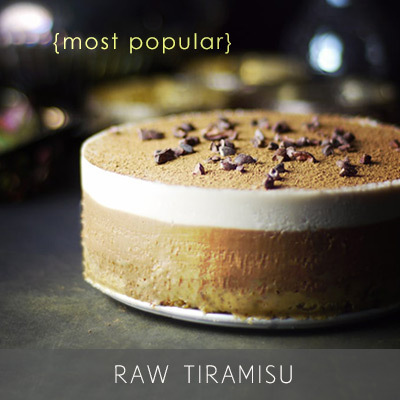 Disclaimer: this recipe contains affiliate links to the following products: white rice flour, cashew butter, maple syrup, pure vanilla extract, cinnamon, salt, balsamic vinegar, sucanat, coconut sugar, food processor. Hi – Can you substitute plums for apples? Do you think it would be too wet? I absolutely love this recipe. I made it with gluten-free oat flour instead of rice flour, because gluten-free oats are fine for me and I much prefer it. It turned out great. The dough was super easy to work with! Oh and it tastes awesome! Thanks so much for sharing, Manjela! I’m so glad you enjoyed this and that it worked great for you with the oat flour. Thanks for the lovely feedback. This recipe is a keeper!! I had to make a couple of substitutions to make it low FODMAP and it worked really well! To replace the cashew butter I used half peanut butter and half coconut oil. Also I made a filling with fresh cranberries instead of plum. I need to do it again with strawberries this summer!! I made your beautiful tart & used a rectangle tart tin, that I smeared it with vegan butter. I used yellow juicy plums. I also used fine Brown Rice flour instead of the white one. Divine!!!! That’s awesome. Thanks so much for the feedback, Sophie :) Appreciate it. Those juicy yellow plums sound pretty good! 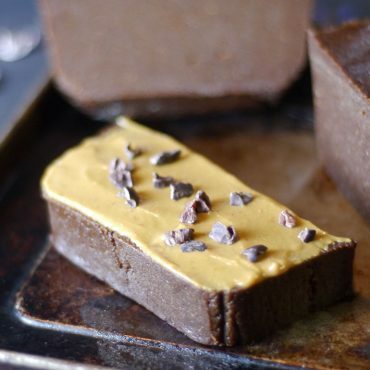 Do you think I could use sunbutter for the crust instead of cashew butter? Hi Brenna, yes, it will work fine as a substitute. You might want to add a touch more cinnamon or vanilla just because the flavor of sunbutter is less subtle than cashew butter. But otherwise, good to go :) Enjoy! Thank you for posting a recipe without xanthan gum, guar gum, or other ingredients we cannot eat. Hehe. 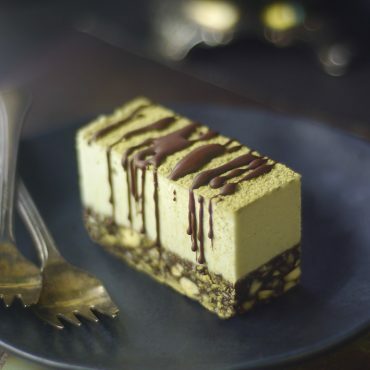 I know — ice cream on things just seals the deal (or a la mode’s it ?? ).